That VH1 spin-off that Love and Hip-Hop NY stars Yandy and Mendeecees just landed might barely have time to air before Mendeecees potentially heads back to prison. On Tuesday, Mendeecees plead guilty to charges of narcotic conspiracy, following up on the case that got him locked up for 13 months last year. The reality star was accused of trafficking $2.5 million worth of heroin and cocaine in upstate New York from 2005-2012. The plea is actually a better option than going to trial, which would have left him facing a minimum of 2o years if he was found guilty. His potential sentence now is less than half of that– 8 to 10 years in federal prison and/or a fine ranging from $15,000 to $5 million. All money earned from Love and Hip-Hop episodes and public appearances– to the tune of $103,000 — is also going to the Feds. 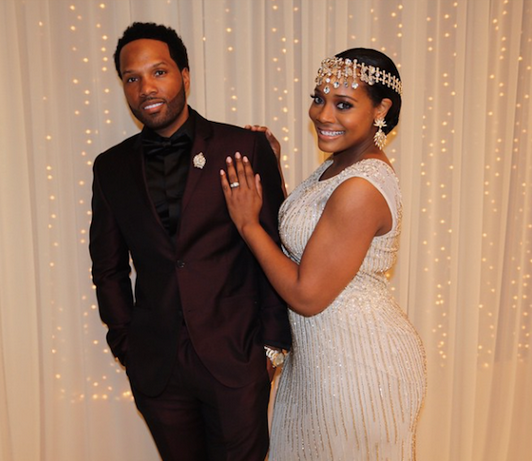 Mendeecees is free on $600,000 bond until his sentencing on August 31, which means that his wedding to longtime love, Yandy (which will air live on VH1 next month,) is still on track.